Power up your D&D game! 110 power cards, including all Rogue powers found in the Martial Power sourcebook, plus a few blank cards you can customize. Game rules not included. 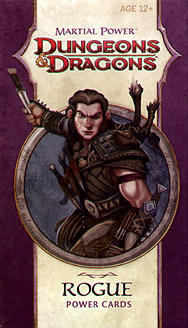 Pick up the Dungeons & Dragons Player's Handbook for complete game rules.